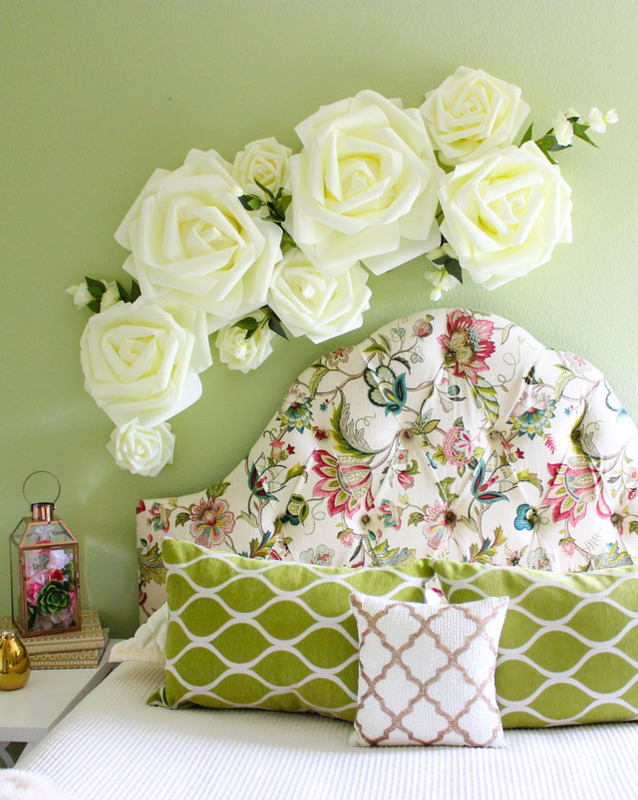 Give Your Bedroom a Spring Update with this Floral Wall Decor! 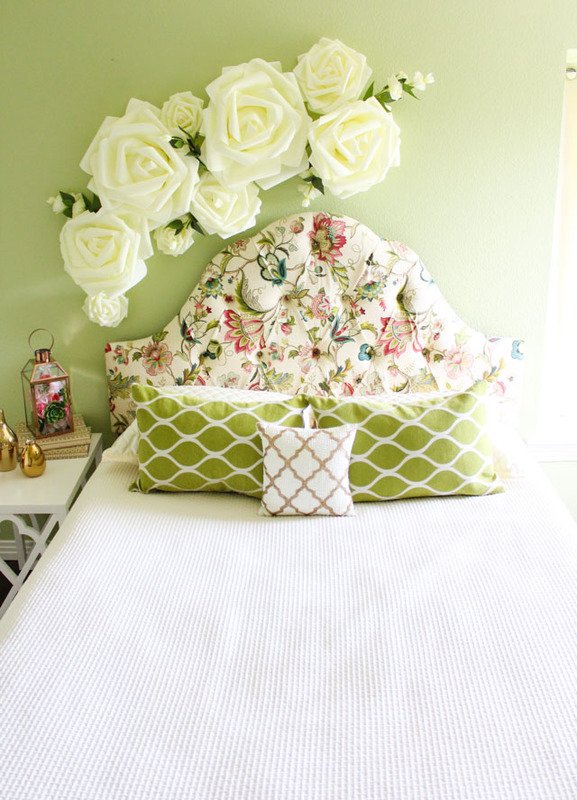 I just gave our guest bedroom a little spring update with the help of these gorgeous oversized foam flowers from Oriental Trading! I partnered with them to show how these pretty flowers which are often used for wedding and party decor like this gorgeous backdrop, can also be used in the home. In particular, I think it can be tricky to know how to decorate above a bed, especially a curved headboard like the one in our guest bedroom. These flowers were the perfect solution! Where would you put these flowers in your home? These foam flowers come in a variety of sizes (and are currently on sale! ), so you can pick and choose what you need for your space. Because they are so lightweight they are perfect for over a bed and can be hung with just a pushpin or a 3M Command Strip. How beautiful would these be in a nursery?! It took me only about 15 minutes to hang the flowers above the bed once I had a rough arrangement figured out. It was easier than getting out a hammer and nail and having to measure exactly before hanging framed wall art (one of my least favorite things to do!). I just followed the curve of the headboard to give an organic flow to the arrangement. I love the 3D nature of the flowers and how they look against the green wall! Head to Oriental Trading’s Fun365.com for the step-by-step foam flower decor tutorial and a full list of supplies! This post is sponsored by Oriental Trading.